Iraqi forces on Monday seized full control of Tuz Khurmatu district, southeast of Kirkuk as part of a military operation in the oil-rich city of Kirkuk, according to a military officer. Speaking to Anadolu Agency, Army Capt. Saad Mohamed said Iraqi forces and the pro-government Hashd al-Shaabi militia captured the area after clashes with Kurdistan Regional Government's Peshmerga forces. Turkmen leader Niazi Oglu said the district is now under the full control of the government forces. 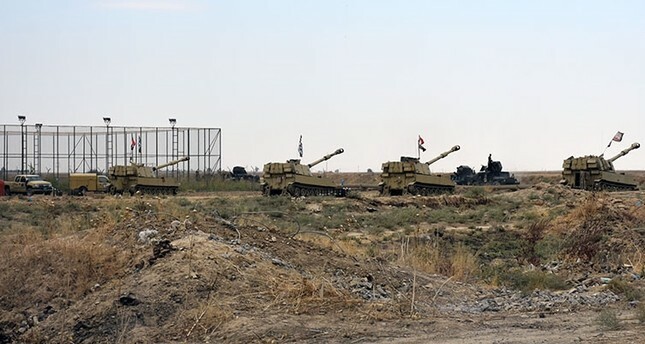 He said six government forces were killed and dozens injured in artillery shelling by Kurdish forces of the center of Tuz Khurmatu district. Earlier Monday, the Iraqi army launched an operation to capture military bases and oil fields in oil-rich Kirkuk city. The move comes amid tension between Baghdad and the Kurdish Regional Government after last month's illegitimate Kurdish independence referendum. The Sept. 25 referendum has faced strong opposition from most regional and international actors -- including the U.S., Turkey, and Iran -- who warned that the poll would distract from Iraq's fight against terrorism and further destabilize the region. The Iraqi parliament has approved a set of measures against the Kurdish region, including the deployment of federal forces in disputed areas, including Kirkuk.